Connect, collaborate and inspire at Longfellows Hotel. 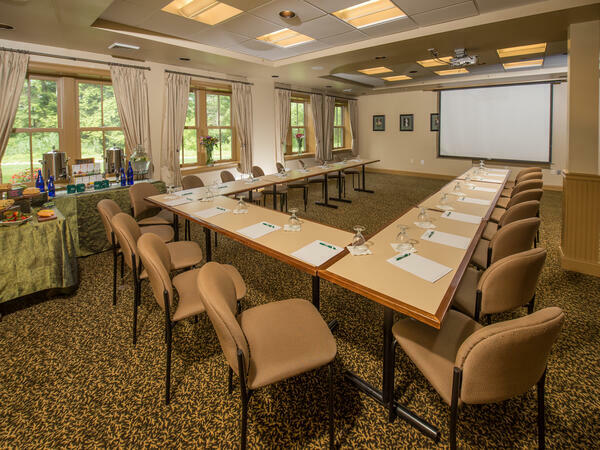 With a secluded location and 5,700 square feet of versatile, stylishly appointed venue space, we set the tone for productive meetings and business events in Saratoga Springs. Spark creativity in well-appointed rooms with modern audiovisual technology and natural light. Keep guests energized with a selection of catering options, from coffee breaks to working lunches and cocktail receptions. And let our seasoned staff focus on every aspect of your event, so that you can focus on the task at hand. Post-meeting, you can schedule a pampering in-room massage, relax with a drink at Longfellows Restaurant or hop aboard our complimentary shuttle and explore downtown Saratoga Springs. Flexible packages are available as well. The 500-square-foot Mohawk Room is designed for board meetings, executive retreats, budget reviews and strategic meetings needing a private, intimate space. Groups of up to 20 people will enjoy the fireplace and access to the grounds along with complimentary Wi-Fi access, digital LCD, drop-down screens and executive seating. The Hiawatha Room is 780 square feet in size and can accommodate groups from five to 50 people very comfortably. Sample room setups include classroom layouts for up to 50 seats, hollow square arrangements for up to 30 seats and boardroom layouts for up to 24 seats. 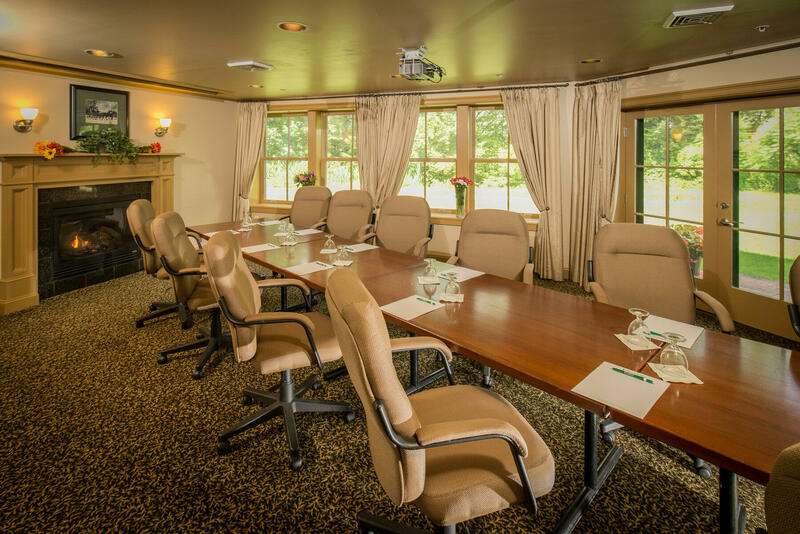 With drop-down screens, digital LCD, surround sound, and complimentary Wi-Fi access, the Hiawatha Room is an outstanding choice for your next meeting in Saratoga. Bring your group out of the traditional meeting space and into a venue that’s exciting, different and inspirational. The Courtyard is 2,300 square feet and can hold as many as 180 people theatre-style; it has the flexibility to house many different tables and seating arrangements. Complimentary Wi-Fi access is available throughout the venue. The 1,480-square-foot Loft Area creates an atmosphere that’s relaxed, intimate and secluded, with the look and feel of true Saratoga. It can accommodate as many as 55 attendees, and its convenient location within the restaurant building makes it a great choice for meetings that include dinner arrangements. The private bar, a stunning deck with views of the Adirondacks and our waterfall and Koi pond will make your event memorable.